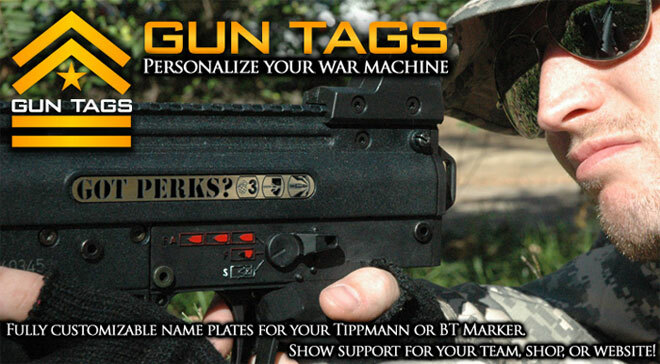 Our new TechT Gun Tags are the best way to add "Bling for the Buck". Customize your marker with your favorite saying or pick from one of our stock themed plates. We will constantly be adding new stock designs- but why wait... We can totally set you up with a custom tag for your war-machine. "Stock Gun Tags" only come in GOLD and SILVER. 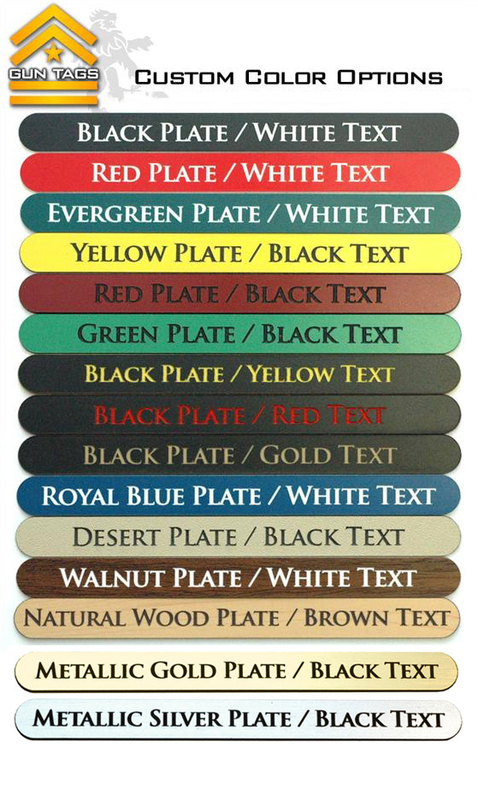 All stock tag's text and emblems are available on any of our custom color plates for an addition fee. Below are all the custom colors we offer as well. Above are some of the designs that we have made. We can literally make any design you can dream up. Below you will see some stock design items that you can add to your cart. If a design says back ordered, don't worry. We have all the material in stock and can make any design you like. So just place your order and it will be made ASAP. 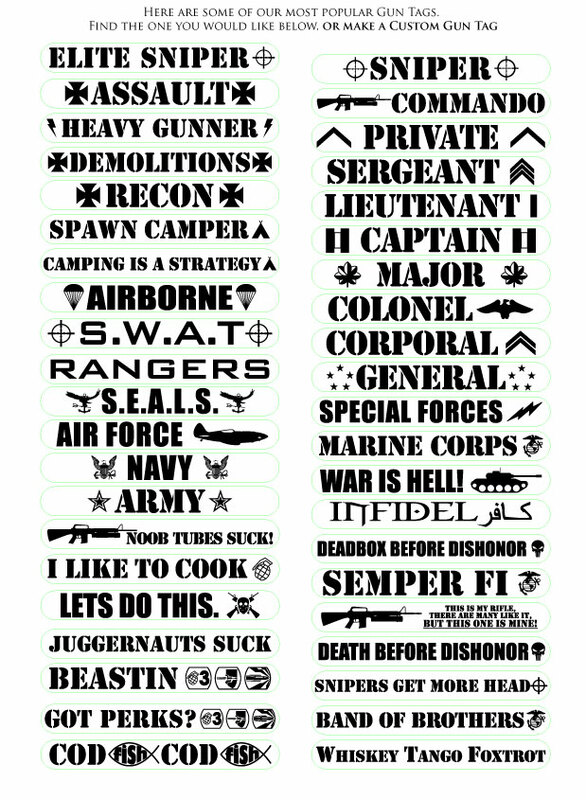 Make your custom Gun Tag here! TechT Gun Tag for the Model 98 marker. Comes in stock designs or customize your own.